Best Buy’s website crashed Friday on one of the busiest shopping days of the year. The site began experiencing issues around 9 a.m., according to CNBC. It was still down when we tried to access it before noon. 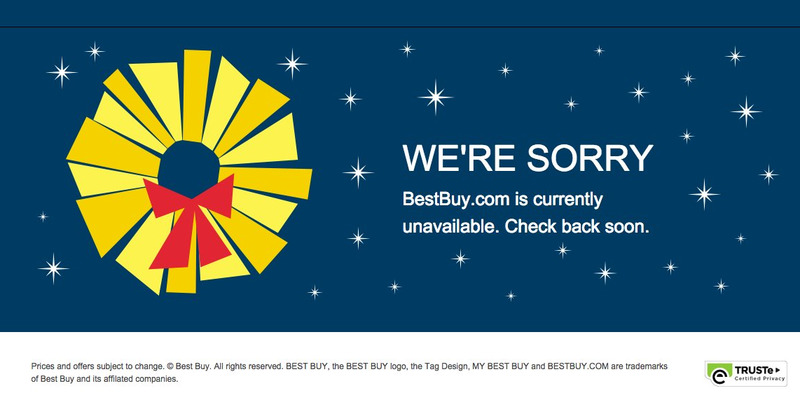 Best Buy opened stores at 5 p.m. on Thanksgiving day. The retailer’s Black Friday deals include $US500 off a 55-inch Samsung HDTV and $US100 off an iPad Air 2.